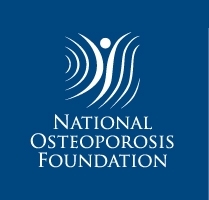 A long waiting time before tooth extraction could result from concern about a potential increased risk of osteonecrosis of the jaw (ONJ) in osteoporosis patients. We clarified whether a long waiting time before tooth extraction during the past year may be associated with an increased risk of delayed wound healing beyond 8 weeks after tooth extraction, which may be a risk factor of ONJ. Of 5639 patients aged ≥ 60 years who visited our 20 clinics or hospitals and answered a structured questionnaire, 426 patients (151 men, 275 women) aged 60–96 years comprised the final participants in this study. 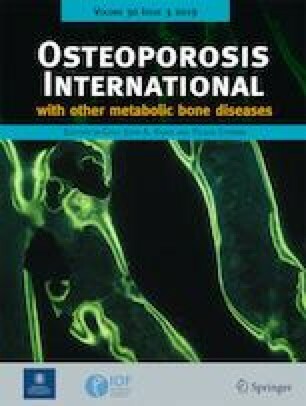 Self-reported kyphosis was used as a surrogate marker of vertebral fractures. Stepwise logistic regression analysis, adjusted for covariates, was used to calculate the odds ratio (OR) and the 95% confidence interval (CI) for the presence of delayed wound healing longer than 8 weeks after tooth extraction during the past year based on the duration before extraction. Subjects who had waited > 2 months for tooth extraction had a significantly higher risk of delayed wound healing compared with those whose tooth was extracted within 1 month (OR = 7.23; 95% CI = 2.19–23.85, p = 0.001) regardless if antiresorptive medications for osteoporosis were used. The presence of self-reported kyphosis was significantly associated with an increased risk of delayed wound healing (OR = 5.08; 95% CI = 1.11–23.32, p = 0.036). A long waiting time before tooth extraction may be a risk factor for delayed wound healing beyond 8 weeks after extraction in patients aged ≥ 60 years. We thank Dr. Kazunari Kurasawa, Dr. Hisayoshi Maezumi, Dr. Hiroki Gomyo, Dr. Yukihiro Yasukawa, Dr. Susumu Gushiken, Dr. Toshinori Yamamura, Dr. Hideki Kohno, Dr. Kenji Kutsuma, Dr. Makoto Tamura, Dr. Toru Hanaoka, Dr. Michinori Ohta, Dr. Mitsuhiko Shimogata, Dr. Misawa Hiromichi, Dr. Tomoyuki Niwa, and Dr. Atsushi Hayashi for screening subjects who participated in this study. We thank Jodi Smith, PhD, from Edanz Group (www.edanzediting.com/ac) for editing a draft of this manuscript. This work was supported in part by JSPS KAKENHI (Grant Numbers JP24592849, JP26463148, and JP90119222). The Ethics Committee of Matsumoto Dental University reviewed and approved the study protocol. This study was conducted in accordance with the Declaration of Helsinki. Akira Taguchi has received consulting fees and lecture fees from Asahi-Kasei Pharma, Daiichi-Sankyo, MSD, Ono Pharmaceutical, Takeda Pharmaceutical, and Teijin Pharma. Mikio Kamimura, Masatoshi Komatsu, Hidefumi Koiwai, Ryohei Ashizawa, Akira Ichinose, Kenji Takahara, Shigeharu Uchiyama, and Hiroyuki Kato declare that they have no conflict of interest.